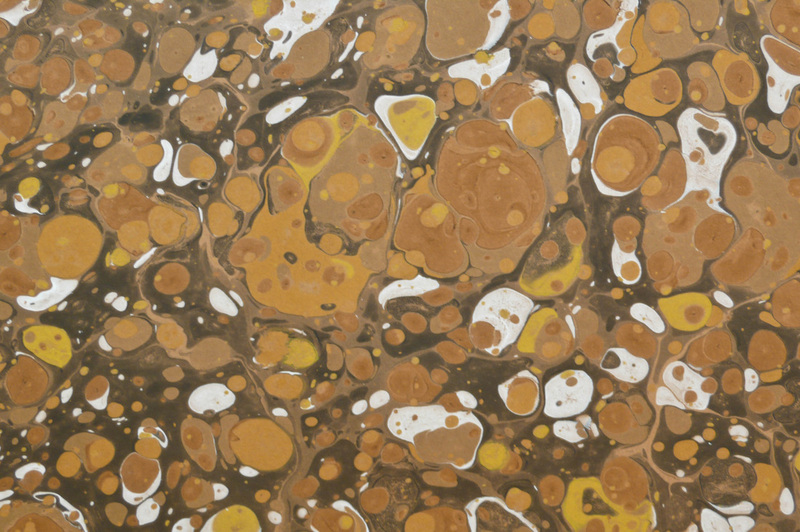 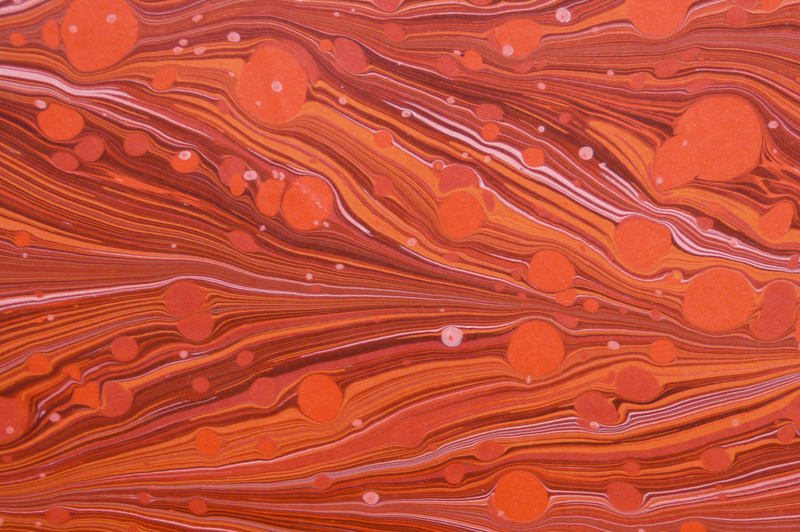 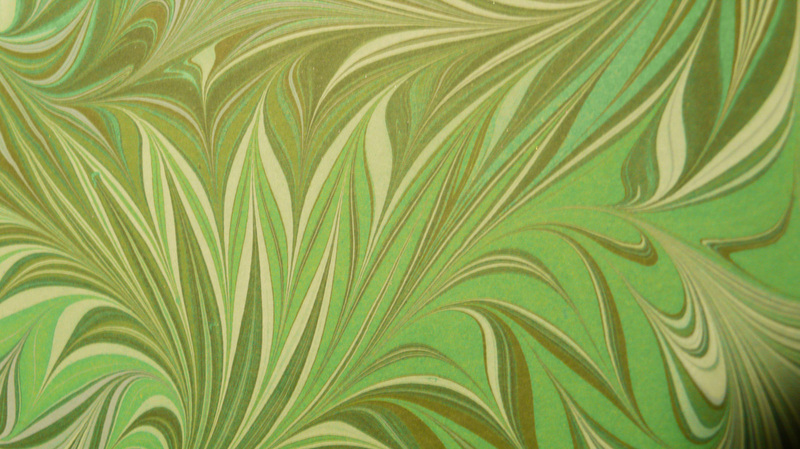 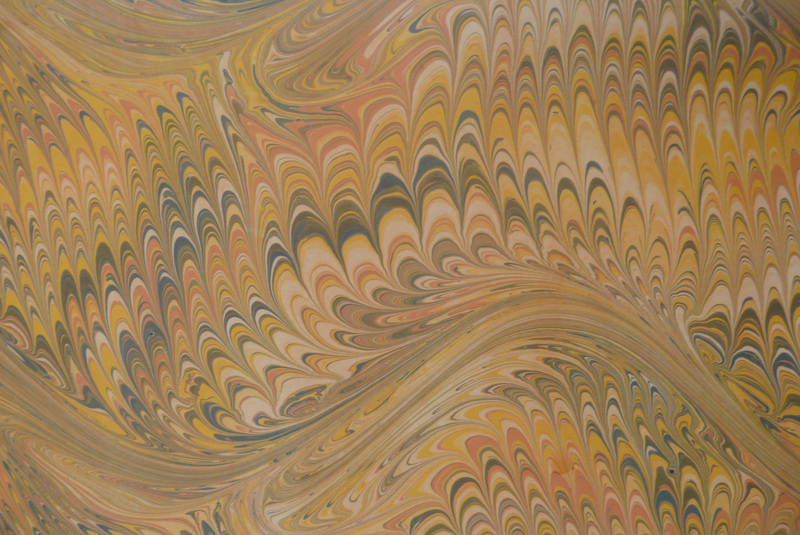 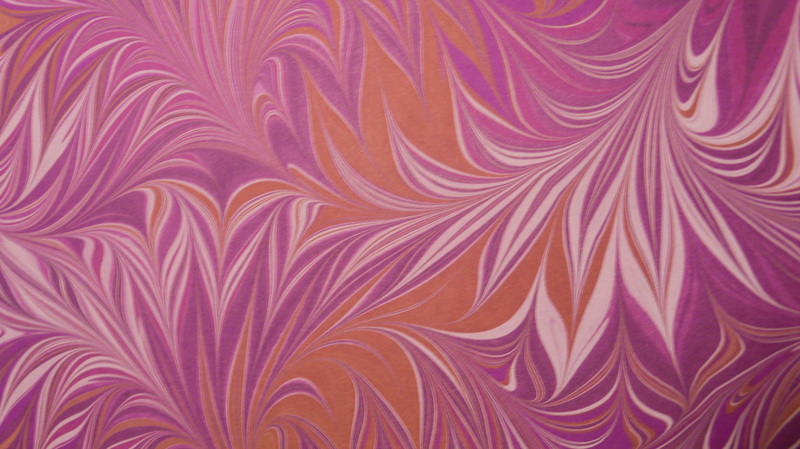 Paper marbling is a decorative technique introduced to Europe in the 17th century. 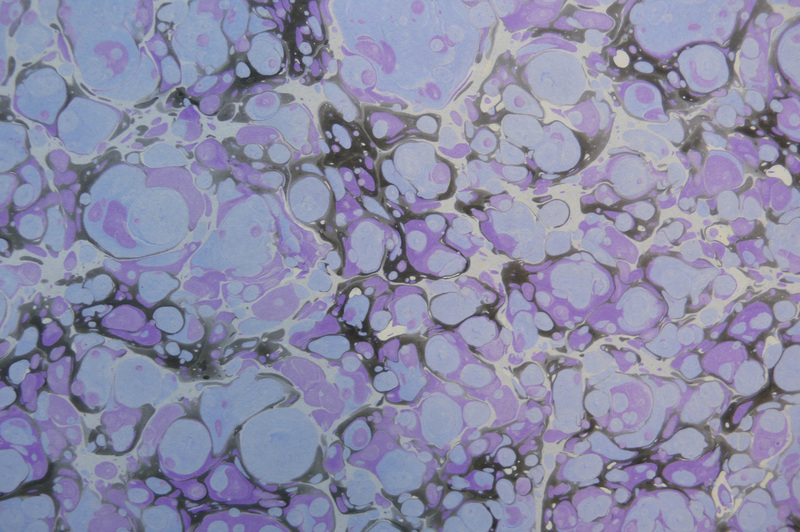 Color is added to an aqueous solution and manipulated to produce various patterns. 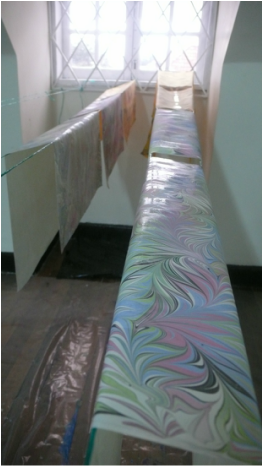 The pattern is then transferred to paper and a mono print is produced. 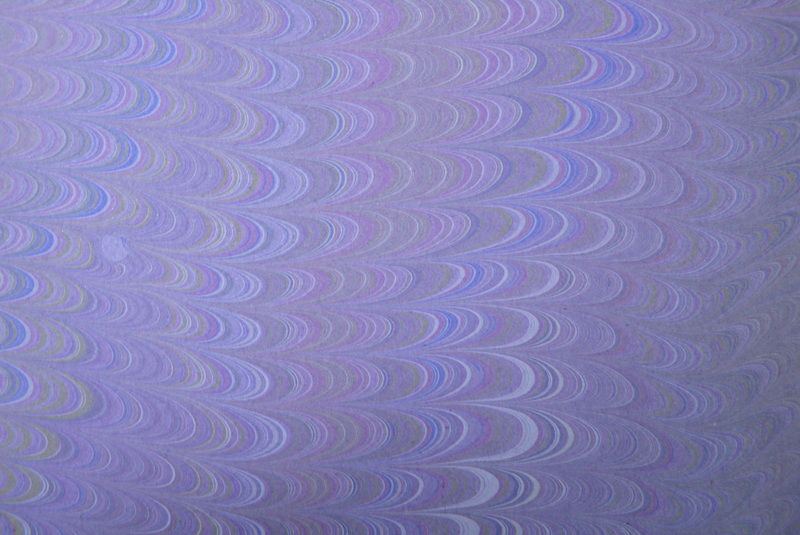 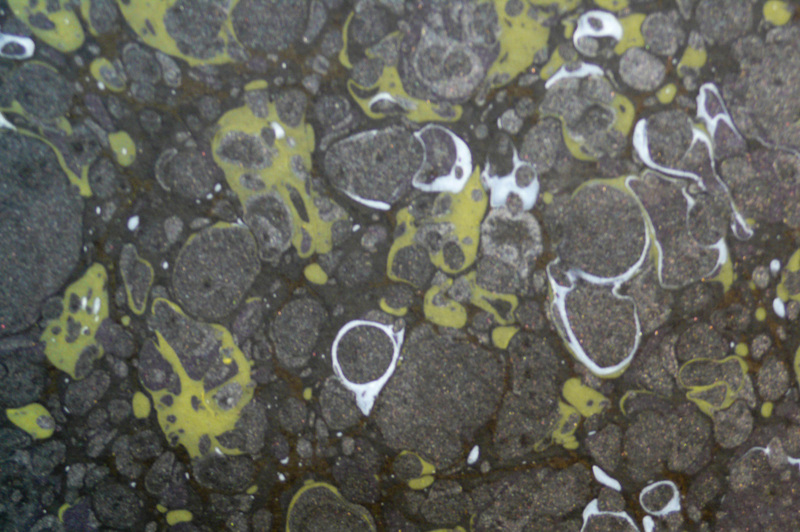 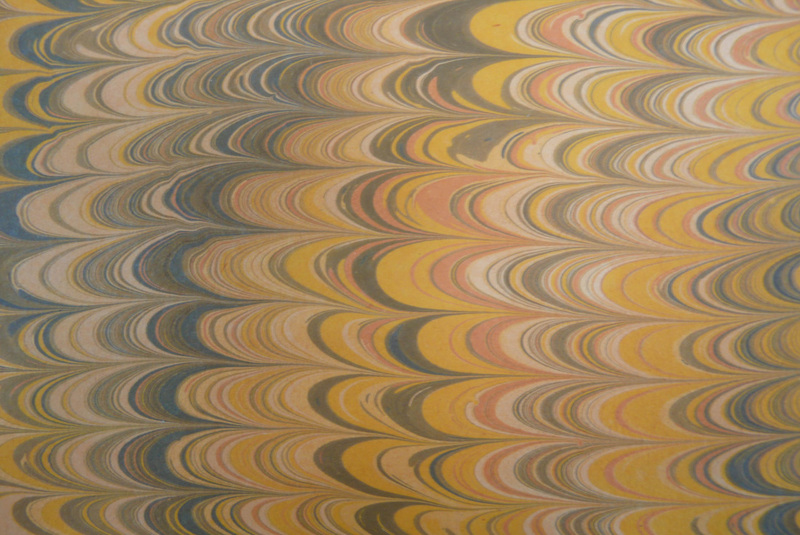 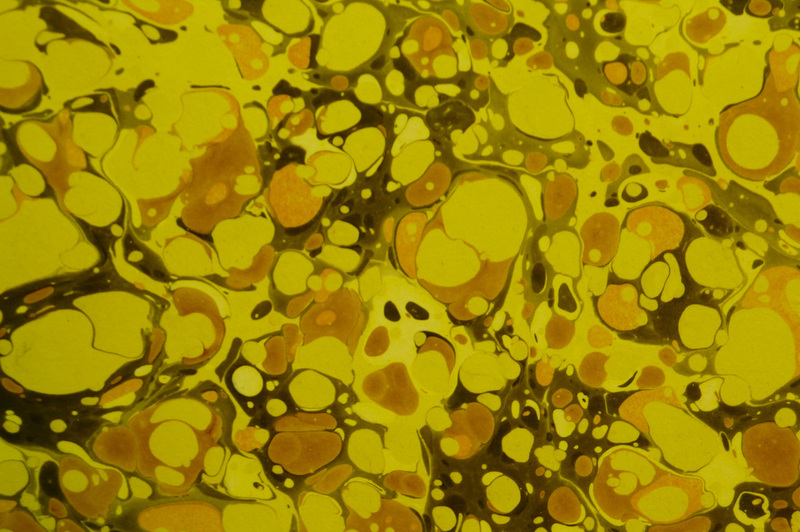 In this way each sheet of marbled paper is unique, as the pattern will always have a slight variation. 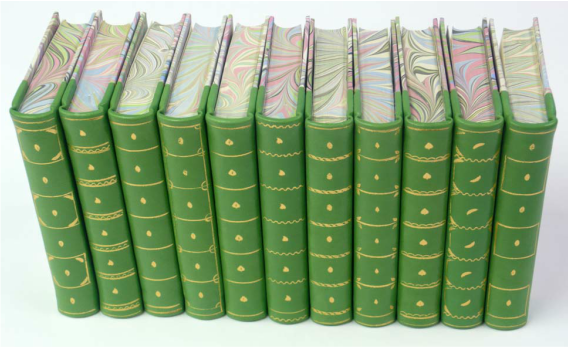 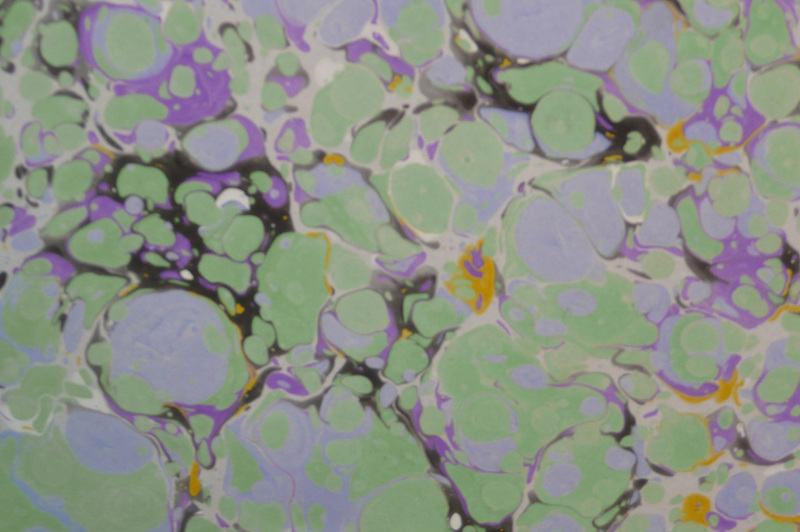 Our paper is hand marbled in our studio, it can be purchased as individual sheets from our stock, or added to any book we make. 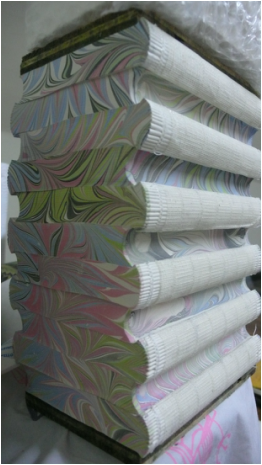 We also take special orders. 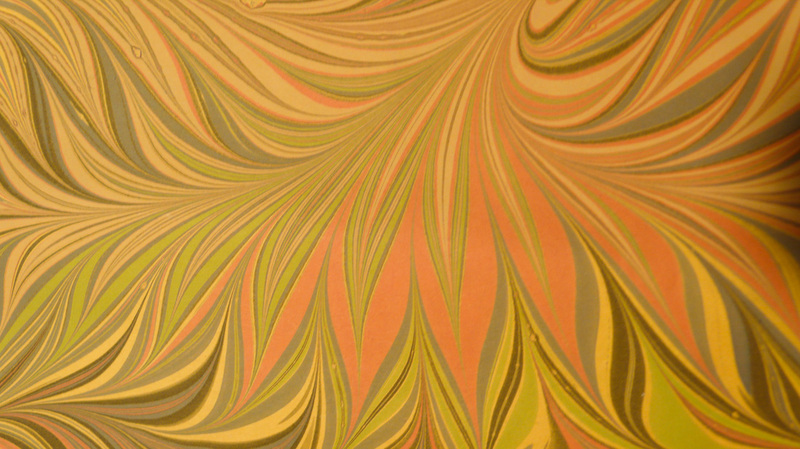 Click on the images below to see the paper in more detail.